I finally got my hands on the Sennheiser Momentum True Wireless earbuds. I was hoping I wouldn’t like them so they can be returned. However, so far, the last thing I’m thinking about is returning these. Of course, once the honeymoon period ends, that may change. For now, here are my first impressions. The packaging is very impressive. The rounded-rectangular case is a little thick, but premium. It will fit fine in any pocket. 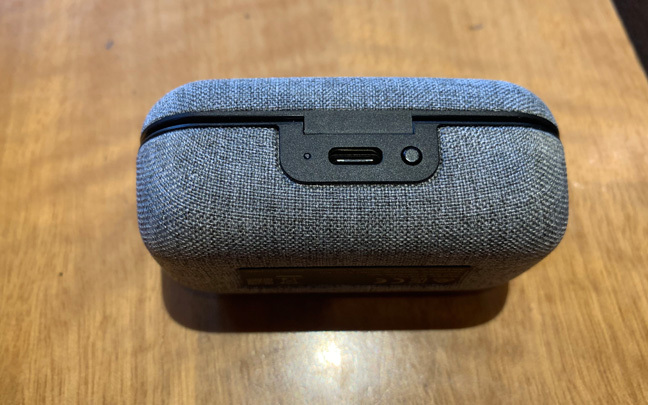 The charging case has a USB-C charging port. These Bluetooth 5.0 earbuds were very easy to pair. They paired with my iPhone XS Max as soon as I took them out of the case. Downloading Sennheiser’s Smart Control app isn’t absolutely necessary, but it makes using the buds more convenient, especially allowing you to set up Transparent Hearing mode. The sound is signature Sennheiser — strong lows (with bass that kicks rather than rubs), slightly recessed mids, and strong highs. Sennheiser has taken the sound from their over-the-ear headphones and put them into these small nugget like earbuds. I’m truly impressed. When using the Momentum True Wireless, it’s better to set the equalizer on the Smart Control app rather than each individual app. There is no active noise cancellation, but the passive isolation is excellent. 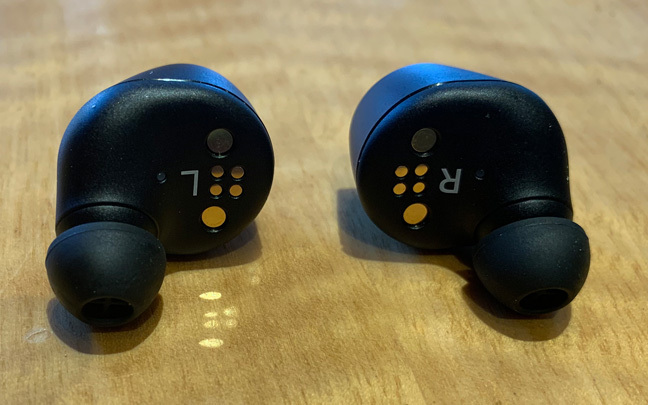 The Momentum True Wireless buds are thick, but they are actually very light. These earbuds aren’t as comfortable as the AirPods; they are quite thick. However, this isn’t a deal killer — far from it. The four-hour battery life is welcoming. The AirPods last longer at 5 hours, but the Momentum True Wireless buds are more powerful. They also charge in their case very fast. I haven’t been able to do exact charging measurements yet, but that will be in the full review. The touch controls are difficult to get used to. I often finding myself activating the wrong function with my fingers. It gets frustrating, but the more I use these, the better I become with touch gestures. Phone quality appears to be good as one person I talked to said I sounded as good as I do when talking on the AirPods. The right bud has fallen out of my ear twice — probably because I don’t have the right rubber fitting. These buds come with three different fits. You can purchase the Sennheiser True Wireless earbuds at Best Buy, where stock had begun to trickle in this past weekend. As somewhat of an audiophile, I believe they are worth the $299 price tag. I’m not sure I can say the same for your average listener, but I’ll give my final conclusion when I do my full review in the next couple of days. 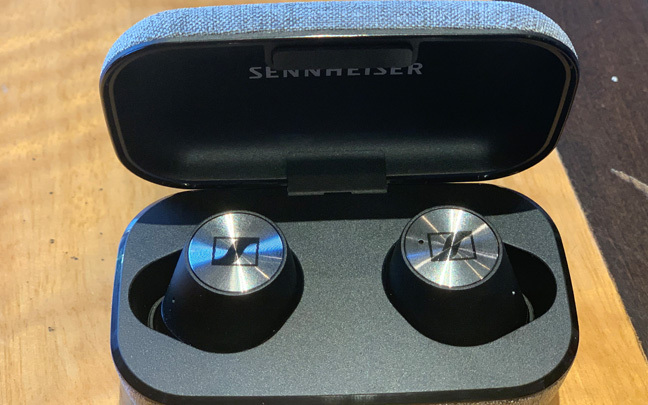 This entry was posted in Review and tagged AirPods, Earbuds, Sennheiser. Bookmark the permalink.